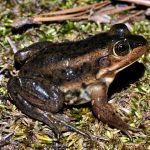 Amphibians are cold-blooded vertebrates belonging to the class Amphibia, including all frogs, toads, salamanders, newts, and caecilians. They spend part of their lives in water and the rest mostly on land. 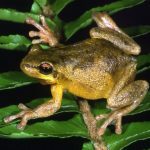 In fact, the word ‘amphibian’ comes from a Greek word meaning ‘both lives’, referring to this unique nature of their life cycle. 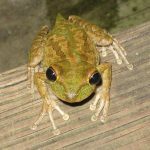 The first amphibians appeared on this earth about 370 million years back, with currently there being over 7,000 species found in almost all types of habitats. The Chinese giant salamander is the largest amphibian in the world, while Paedophryne amanuensis, a frog from Papua New Guinea is the smallest. Amphibians lose water through their skin (permeable skin). So, they always need to stay near some water source to prevent getting dehydrated. 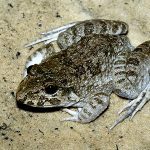 Also being cold-blooded, they have very specific living conditions and most species estivate when it is too hot and hibernate when it is too cold. Adults have lungs for breathing, but they can also breathe through their skin. 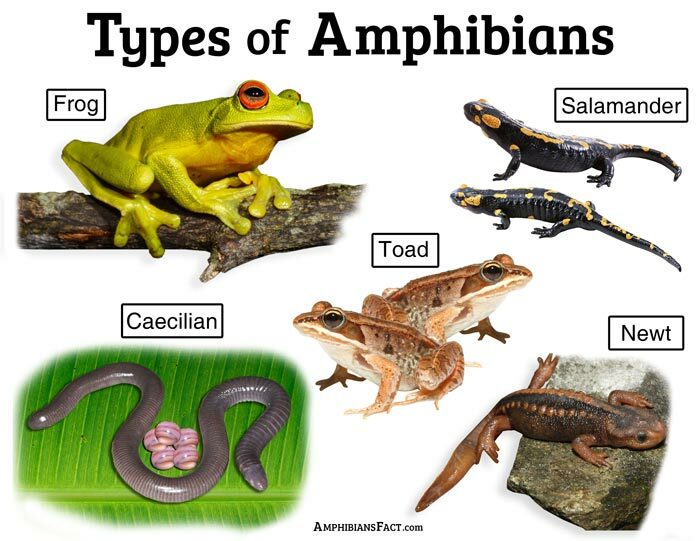 Many amphibians have certain poison-secreting glands on their skin to protect themselves from predators. 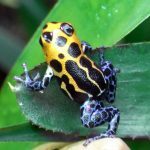 In some animals, like the poison dart frogs, this toxin can be potent enough to kill large mammals. Their eggs lack an amnion (the innermost membrane protecting the embryo) so, they lay them in water to keep them from drying out. The eggs hatch into tiny larvae that live in water and has gills for breathing. The larvae then undergo a physical transformation (metamorphosis) in which they grow limbs, trade their gills for functional lungs, and grow to look more like their adult counterparts before moving to live on land. The adults of almost all species are carnivores, feeding on different things ranging from insects, fish, smaller reptiles, rodents, to other amphibians. The larvae are filter feeders, eating plant and animal matters. 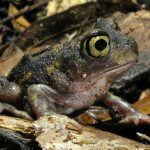 Eastern spadefoot is a small to medium-sized, stout-bodied toad found in the eastern United States.